What were God’s commands to His people when King Nebuchadnezzar carried them away from Jerusalem to Babylon? 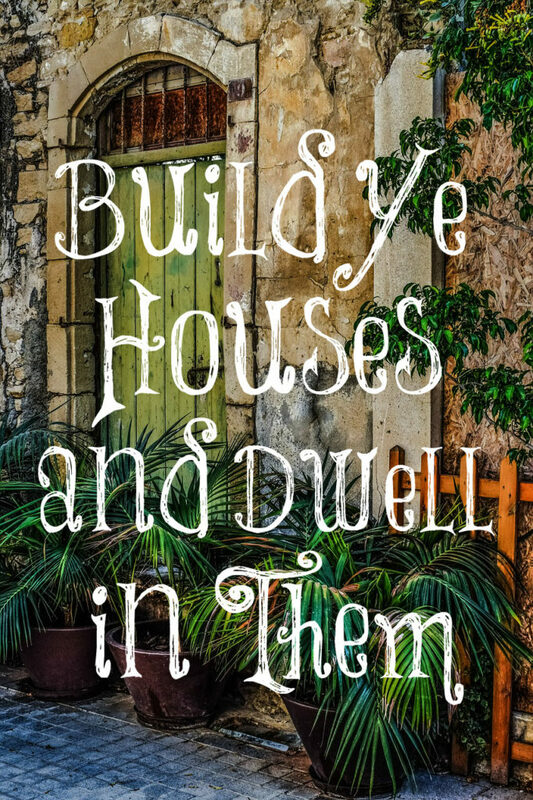 “Build ye houses, and dwell in them; and plant gardens, and eat the fruit of them; Take ye wives, and beget sons and daughters; and take wives for your sons, and give your daughters to husbands, that they may bear sons and daughters; that ye may be increased there, and not diminished. And seek the peace of the city whither I have caused you to be carried away captives, and pray unto the Lord for it: for in the peace thereof shall ye have peace” (Jeremiah 29:5-7). Dwelling in home, planting gardens, marrying, and bearing children were all part of His wonderful plan for His children even in a foreign and hostile land. What were the Apostle Paul’s instructions to young women while living in a wicked culture and for young women today? “That they may teach the young women to be sober, to love their husbands, to love their children, To be discreet, chaste, keepers at home, good, obedient to their own husbands, that the word of God be not blasphemed” (Titus 2:4, 5). And what were his instructions to young widows? “I will therefore that the younger women marry, bear children, guide the house, give none occasion to the adversary to speak reproachfully” (1 Timothy 5:14). 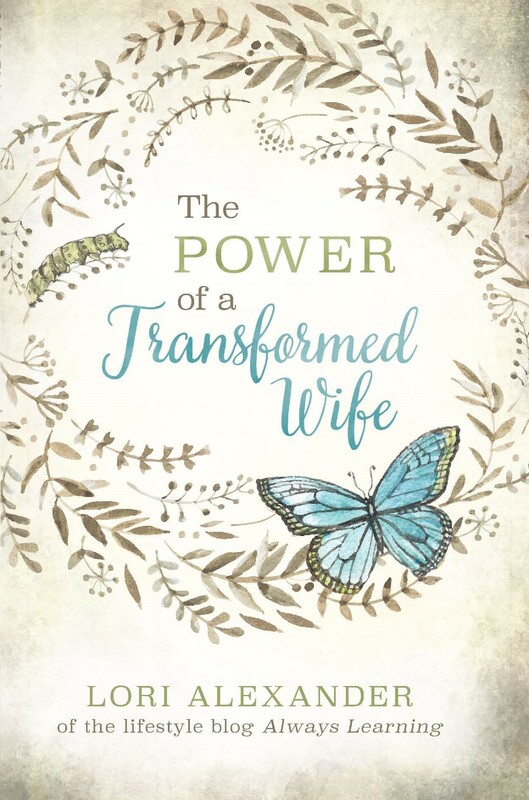 God wants young women to marry, bear children, dwell, and work in their homes even in a culture that hates the Lord as a shining example to the beauty of His ways. What about barren women? “He maketh the barren woman to keep house, and to be a joyful mother of children. Praise ye the LORD” (Psalm 113:9) from the Song of Hannah. What was the Proverbs 31 woman known for? Was she known for her career choice and how much money she made? No! She was known for looking “well to the ways of her household” (Proverbs 31:27). Her husband and children rise up and call her blessed! It is abundantly clear what God’s will is for women yet few women are being taught this as they are growing up. Being a keeper at home isn’t even on their radar! So what about the women who are highly educated, have a mountain of debt, and must work to pay it off but want to be home with their children? What should they do? Or how about women who are single with children and want to be home? What about women whose husbands insist they work outside of the home? Do they have no options? My encouragement to all women who want to come home full time regardless of their circumstances is to pray. Pray. Pray. Lay your burden at the feet of Jesus. Ask Him for wisdom. Let Him know that you now see how important it is for you to be home full time with your children and ask Him if He would make a way for this to happen; for with God ALL things are possible! Then walk in the grace, mercy, and strength that He provides while waiting upon Him. If you have a mountain of debt and a well paying job, pay it off as soon as possible. This is a tough position to be in. Many will mock you if you tell them you are paying off your debt and leaving your prestigious career to go home full time but you aren’t alone! Many women are finding out how empty their careers are and are choosing to go home to raise their own children. It may take awhile but once you step out in faith and begin to live simply and frugally so you can pay the debt off sooner, God will give you the grace and endurance to accomplish it! If you are single for some reason, seek ways to make money from home if at all possible. Can you start a daycare to be home with your children? I know women who sell things from home and make good money (the internet has opened up a good resource for this). Tutor children from home. Teach piano or an instrument, if you know how to play one. Remind yourself that nothing is impossible with the Lord, pray daily for wisdom, and ask that He make a way for you to come home. God’s will for single mothers is to marry, bear children and guide the home. Yes, this verse was written to widows but those who are single through no choice of your own or from poor choices, getting married is a great solution but make sure to marry a man who wants to provide for you so you can stay home full time. Your children need a father, and if you can find a godly man who wants to marry you and provide for you, marry him! This is by far the best solution. For the mother whose husband wants her to work, figure out how much money you are really bringing home after taxes, the cost of clothing, wear and tear on the car, lack of time to shop frugally and fix meals from scratch at home, and then make a gentle appeal to him. Read “Home By Choice” so you can show him the studies that prove how important it is for mothers to be home with their children. After doing this, keep praying and resting in the Lord’s timing. He is the One who will convict and change your husband’s mind if it is to be so, but make sure you are treating him with respect and kindness. Never grow bitter towards him! Marriage was created by God. He said that it was not good for man to be alone so He created a help meet for the man. This is all good and a part of God’s wonderful plan for us from the beginning. Marriage and women being keepers at home has become muddied in our culture. Always go back to the word of God for your instructions, dear women, then trust Him to provide what He commands. Yes! You reap what you sow! Build a house of stability and love for your children, not a broken home of divorce, stepparents, live in boy friends etc… Schools are not babysitters for children acting out due to wanting love and attention! Therapists are neck deep in broken families to mend! Our resources are drained due to the sheer volume of kids without a stable home turning to welfare and crime and repeating the cycle! A generation is growing up embittered, normalizing divorce and hook up culture, and resenting men! The nuclear family is worth building! This “any family is a real family lie” has brought society to its knees! so much truth here. the media hides the ugliness of all the above mentioned things. in real life, people are damaged by such chaos and instability. yet people still try to emulate these lifestyles portrayed by the media. Since seeking affirmation on these topics and then following you on facebook, I have come to formulate a notion about this and my life personally. If I were to write it in a novel for the mainstream culture to understand, I would entitle it, “Duped”, because that is how I felt when I arrived at marriage, late, with student debt, a half-hearted career, and nearly barren. At 32 I met the most wonderful mate who was God-given. To this day I say thankful prayers for him several times daily. I am so blessed with him and thankfully a wonderful son. However, it took a lot of twists and turns to carve this path as I regrouped the minute I held my long-loved baby in my arms. I knew in an instant that THIS was what God intended for me and that as early as 10 years old I had a mother’s heart. Sadly, I was steered away from this nature of mine despite my doting on children constantly and proclaiming boldly what I intended, “When I grow up I will be a Mama!”. Well-meaning and loving parents required college and career so I chose to teach to at least answer some aspect of my calling and heartfelt yearning. However, I was so independent and focused on the wrong things that I missed waited too late to answer my true calling of marriage and motherhood. Needless to say, my husband is happily supportive–steadfast actually–of me staying home with our son until he is grown. We have a lot of financial gains to make and still lessons to learn there from cutting our income considerably in the past 10 years but he says it is all worth it and supports the cause. Thank the good Lord for this man! He is a wonderful provider and I absolutely love caring for him and my child plus the household. It is the most stimulating type of work with the most flexibility I could imagine to set the tone, the look, and all the in-between details. It is an honor and a joy. My only regret is the loss of time getting here and the fact that perhaps many women are like me–missing out. I pray, pray for guidance on this within our culture and am thankful for wise women like you who are willing to speak the word of the Lord in so clear a way. Thank you! You’re not alone, Jenny. Many, if not most, women have been duped by the feminist agenda that higher education and careers are much more important and valuable than being a wife a mother. Thankfully, you didn’t miss out together like some are doing. Blessings to you! While the younger widows are to remarry, what direction is given to older women who become widows? Read 1 Timothy 5, Meg. All of the biblical instructions to widows are in this passage!